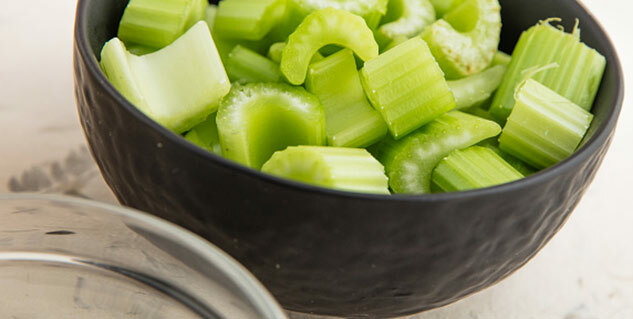 Celery stalks is excellent food option for weight control. Celery stalks can reduce inflammation. It does wonders for your digestive system. Celery, Indian name “Ajamoda”, is a vegetable that is consumed in many ways. You can incorporate the crisp celery stalks into cooked dishes, stir-fries and salads. Celery is almost 95 percent, while rest of the veggie has phytonutrients, vitamins and minerals. It is an excellent source of vitamin K, folate, potassium and fibre. Moreover, you get small amounts of vitamin C, vitamin A and some B vitamins. Also, celery carbohydrates, fat and cholesterol. Being low in calories, it is an excellent food option that gives you a control on weight. Whether trying for weight loss or maintaining it, celery makes a good weight loss food. 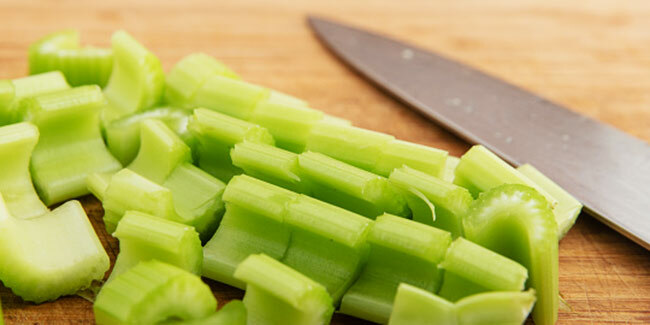 Celery stalks is one of the food that helps you calm down. Calming effect of the veggie is because of the presence of minerals in celery, especially magnesium and the essential oil. Celery stalks can reduce inflammation. If you are troubled by joint pains, lung infections, asthma, or acne, eating the vegetable will provide relief. High water content of celery combined with insoluble fibre does wonders for your digestive system. The combo eases the passage of stool other than keeping digestive infections at bay. Celery stalks meet your daily need for Vitamin A, the nutrient responsible for age-related degeneration of vision and improve vision. Celery is found to lower “bad” cholesterol owing to the presence of a component known as butylphthalide. Phthalides in celery stalks has blood pressure lowering ability. It also has a powerful flavonoid called luteolin, which inhibits the growth of cancer cells.